A senior member of the Ireland Women’s national team who debuted in 1999, Isobel is currently playing for the Tasmanian Roar (the state team for Tasmania) and the Hobart Hurricanes in the Women’s Big Bash League. Cricket has long been a part of Isobel’s life. While backyard cricket became part of her childhood, at the age of 11 she was watching England men play on television and having the sudden realisation that, because she was a girl, she couldn’t play cricket as a career. Isobel has played her club cricket in Ireland for Merrion Cricket Club, but also played for Trinity Women and has been a player/coach of Trinity Men for the past two years. 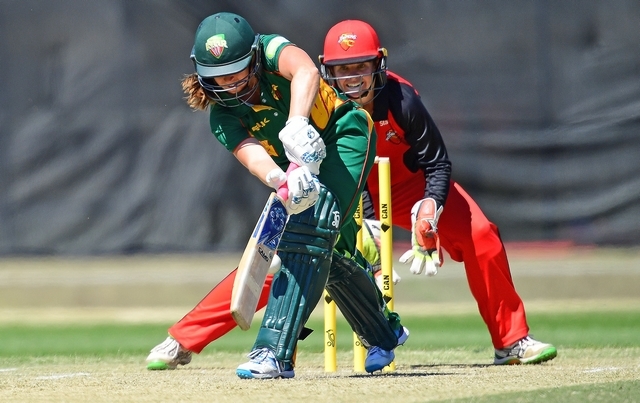 Her experience in Australia, though, has helped develop her perspective on cricket. “Cricket is such a mental game that I almost find myself my toughest opponent at times. There were times I used to psych myself out so much that I found the game was more about getting past my own demons than the opposition I faced,” she said. Cricket has also brought Isobel very distinct moments of joy. “I think the most unbridled joy I’ve had in an Ireland shirt was the moment Lucy O’Reilly hit a four off the last ball in the ICC Women’s World Cup T20 Qualifier in 2015 to win us the final against Bangladesh,” she said. And what advice would Isobel give to a young girl considering cricket as a sport? Playing, travelling and meeting people the world over – cricket is certainly a sport that can provide a great life experience for girls and women alike. If you want to find out more about getting involved in women’s cricket, you can contact one of the Provincial Unions today or find your nearest local club. 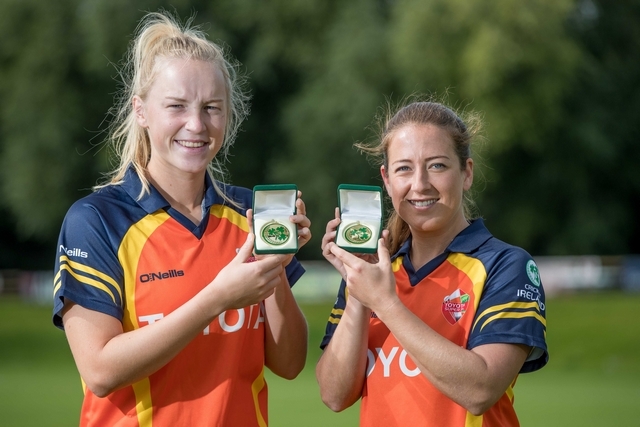 Image: Presentation of the 2017 Toyota Super 3’s Trophy To Scorchers’ captain Kim Garth (left) and Isobel Joyce (right). Image credit ©INPHO/Morgan Treacy.